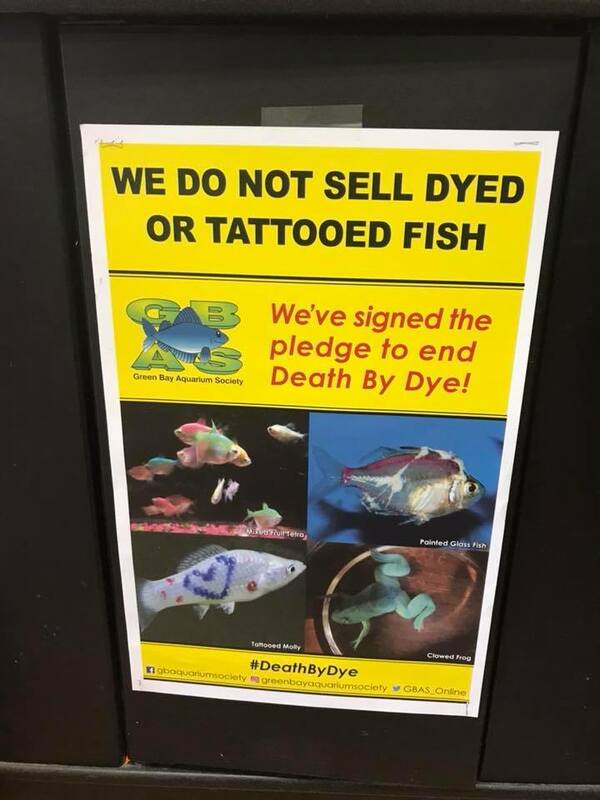 Green Bay Aquarium Society launches a campaign to end the trade in dyed fish and amphibians in their regional market. In the aquarium hobby, most people are attracted to brightly colored fish to keep in home aquaria. Unfortunately for some fish, these bright colors can come at a high price. 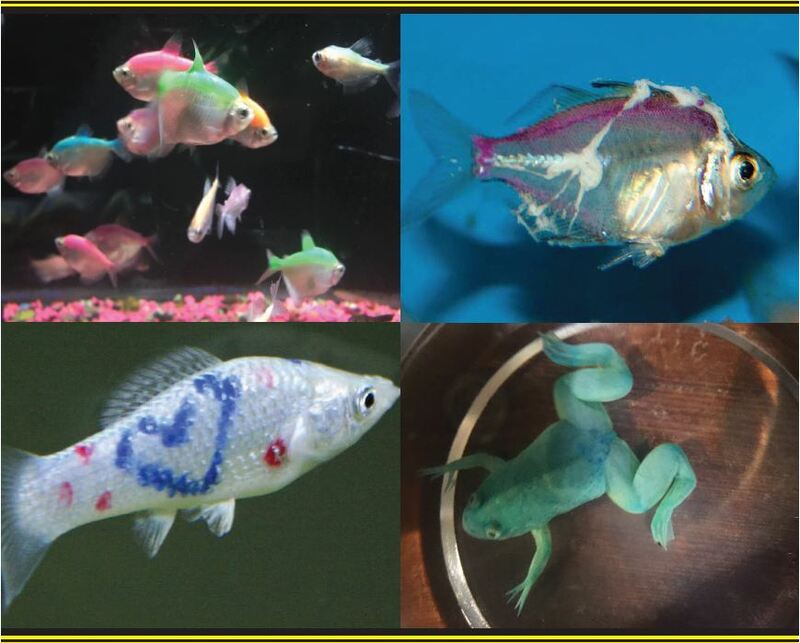 Certain fish in the pet trade are artificially colored using harsh dyes and even permanent tattoos. The Green Bay Aquarium Society is calling for an end to this cruel and unnecessary practice. We ask that retailers stop selling these fish and that consumers stop buying them. If you are a retailer and would like to join us in our campaign to End Death by Dye, please download, sign, and return our End Death by Dye Pledge Form. We will add your business to our online registry, Retail Partners, and we will provide you with a poster to display. If you are a consumer, we ask you to patronize those Retail Partners that have signed our pledge. Should you see artificially colored fish or other livestock offered for sale, please do not purchase them! Instead, politely ask the store personnel to visit our website to learn more about this subject, and hopefully to join us in our campaign to end #DeathByDye. Great campaign! Next step is to ban the Frankenstein fish because they do not belong into the aquarium but in the laboratories for genetic research! Like the Dyed Fish also the Frankenstein fish gives the anti-pet lobby great opportunities! What is a Frankenstein fish?